Commerce Place is a high-rise in Baltimore, Maryland. The building rises 31 floors and 454 feet (138 m) in height, and stands as the fourth-tallest building in the city. The structure was completed in 1992. Commerce Place was designed by architect G.C. 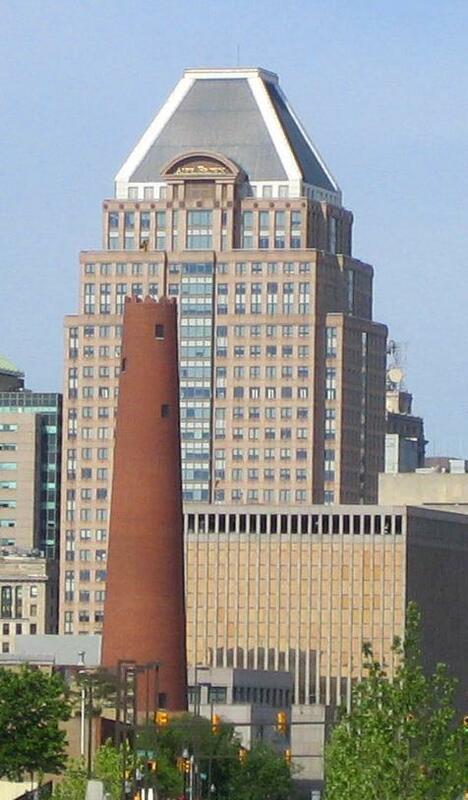 Pontius of RTKL Associates, a Baltimore-based architectural and engineering firm; the structure is an example of Postmodern architecture. 23 of the building's 31 floors are used for commercial offices, while six are used for parking. The remaining two floors are used as retail space.